At Mirfield Mill Carpets, we know more than a thing or two about luxurious carpets. Apart from coming in different styles, colours and patterns, carpets are loved by all for their durability, softness and comfort. Don’t forget that they are especially great for a family with children who need daily extra protection from hard floors. Not only do carpets have soft cushioning, they can also be stain resistant, which is a crucial factor when it comes to young children and pets. 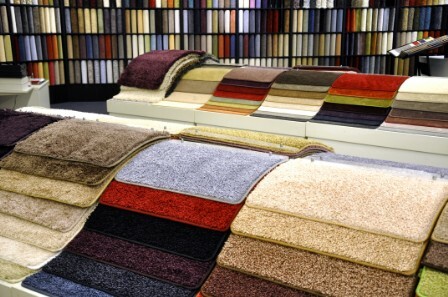 Quality carpet is a particularly good investment and comes in many different forms. Ask about our full range, as we are sure we will have something to make your house a home. 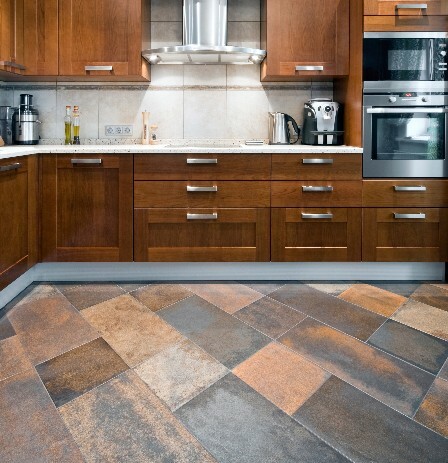 Vinyl flooring comes in patterns that realistically mimic the look of stone or wood. 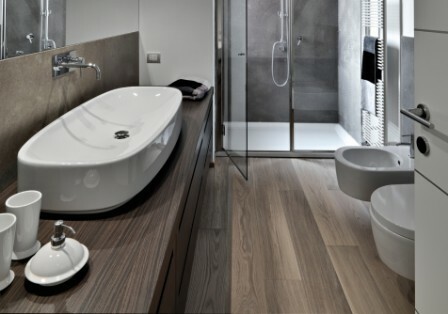 Get the natural look of wood and stone flooring with the added day to day advantages of Luxury Vinyl flooring (LVT's). Stunning wood and stone effects are painstakingly recreated across our ranges with beautiful depth of colour. The earliest known flooring is the humble rug. Today the beauty of rugs has been rediscovered. 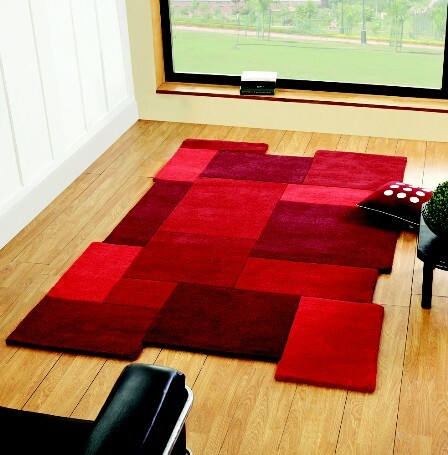 Rugs are a great way to enhance a room, giving comfort and warmth. And the choice is endless! A beautiful rug will set off any interior. We love rugs and we think it shows. "Go on, give your floors some Flair." Laminate flooring offers great looks at affordable prices. It’s also durable. Kids? Pets? Relax... With a laminate floor, you won’t have to worry. Our laminate floors are made to stand up to high traffic and high impact. And laminate is very versatile too and can be installed in any room in your home. Laminate floors bring in a sense of elegance and beauty that is hard to match and since they are available in such different shades and patterns, the choice is fairly endless when it comes to picking flooring that accentuates the beauty of your existing interiors. Real wood is stylish, elegant and easy to keep in tip-top shape. That’s because real wood flooring is easy to sweep or vacuum, and it can also be mopped, keeping down the dust to a minimum. Mirfield Mill Carpets can help with plenty of tips and advice when you are trying to decide which kind of real wood flooring will suit your home and your lifestyle. Real wood gives a luxury feel to any room, and provides a genuinely chic finish that shows off your furniture and accessories to great effect. Cushion Vinyl offers a variety of different designs. Mirfield Mills Carpets' Cushion Vinyl replicates it all with great detail for a natural look. There are several layers that add to it's long-lasting quality. Fuss free and functional, Cushion Vinyl is traditionally a floor type that is ideal for kitchens and bathrooms, but is equally suitable throughout your home, with a wide range of styles available including plain, patterned, wood, tile, stone and mosaic. Linoleum, or as it called nowadays, Marmoleum, is durable, comfortable and a stylish floor covering, in a variety of colours for different moods and styles, whether you want to contrast or complement, highlight or hint, Marmoleum has the palette to turn your dreams into reality. Marmoleum is a natural product and therefore quickly adapts to the temperature in a room. It is also ideal for use in combination with under-floor heating. Why not pop down to the Mirfield Mill Carpets showroom to see our samples and have a chat to one of the team - free parking is available. Our showroom is open for you to browse our extensive range of flooring products at Mirfield Mill Carpets, 51c, Holme Bank Mills, Mirfield, WF14 8NA - why not pop down and have a chat about your flooring needs... and don't forget we always have special offers on certain products - simply ask our team! "Helping you turn your dreams into a reality..."